Hurricane Irma was a game-changer in tropical storm force. It was also a game-changer for the National Weather Service as an example of a strategy shift it started to pursue four years ago. Safety pros can learn from this strategy shift by the government agency that helps others prepare for weather disasters. An article in The Atlantic profiles just how the NWS shifted its strategy – and why it chose to do so. On April 3 and 4, 1974, an outbreak of more than 140 tornadoes in the Midwest struck 13 states and killed more than 315 people. It was the largest single batch of tornadoes ever recorded up to that date. Just over 37 years later, the NWS saw a repeat coming on April 27 and 28, 2011. It issued a warning on the morning of April 27. 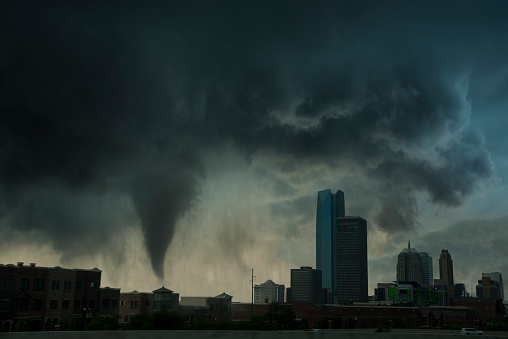 Tornadoes formed in 95% of cases when it issued a watch. Residents received tornado warnings an average of 24 minutes before twisters touched down. In all, 362 tornadoes formed. Despite the accuracy of the forecasts, the same number of people died as in 1974: more than 320. A series of meetings at the NWS followed. “We needed – with a sense of urgency – to move beyond forecast warnings and connect with decision makers,” Louis Uccellini, director of the NWS told The Atlantic. There’s the parallel to the workplace safety world. Isn’t that an ultimate goal – to move beyond warnings and connect with decision makers to save lives? A new guiding philosophy, “Building a Weather-Ready Nation,” sprang forth at the NWS in late 2011. Now the NWS mission would be about more than issuing warnings. It would be about taking responsibility for getting sound science to officials. Ambassadors were chosen to communicate the dangers of impending severe weather. It offered up its experts elsewhere in government. The result? “We don’t invite ourselves in; we get invited in,” Uccellini said. Florida declared a state of emergency almost a week before Irma’s landfall due in part to the NWS communication. Connect with your company’s decision makers before you have to issue warnings. How do you convey your safety message to decision makers at your company? Let us know in the comments. This is a very interesting article. They make some very good points in the Atlantic article about the price of getting it wrong. I live to the south of Houston and you hear so many stories from people about the evacuation due to Hurricane Rita. People in their cars for 24 hours only to make it 30-40 miles due to traffic, I had a relative who was in a rehabilitation facility who had a seizure and died on a bus being evacuated. Rita was a miss and because of those experiences a lot of those people will not evacuate again. I also like the idea of Weather-Ambassadors. Ahead of Hurricane Irma you had Rush Limbaugh on the news claiming some sort of conspiracy to scare people. No matter what your thoughts are on the man, he does influence some people. In this case that influence could get people hurt. These “weather ambassadors” have to influence people to react in the interest of self preservation. Thank you for your perspective from the Houston area.